Congrats on finding the love of your life! If you have not already checked out the first three posts in my wedding series, scroll through those first HERE then head on back for the next up in the planning timeline. 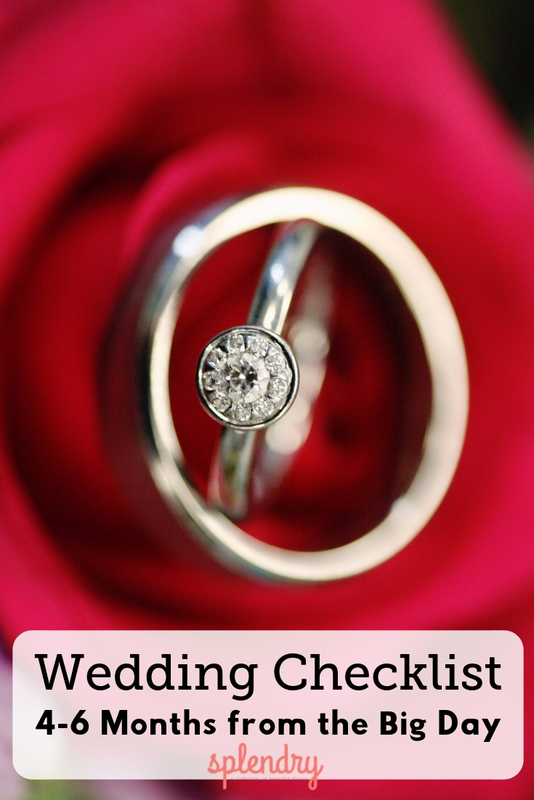 *Remember, items on this list might not directly apply to your specific wedding plan. Each wedding is unique and that is something I love about them. This is to help you get an idea of what aspects can make up a wedding and how to stay on task. It is also a time estimation which will depend on how many months between your engagement & the wedding day. You can grab a FREE checklist printable here! this is key to helping you stay on budget; plus, certain vendors base pricing on # of guests & this will give them a baseline quote for you. If you have special dietary needs/restrictions definitely don’t wait too long to shop around and reserve your baker. This will be something to do one, maybe two test runs with prior to the day, so keep that in mind if you are hiring someone. If hiring any musicians, begin researching possibilities. Scout lodging for out-of-town guests. Ask about special block rates. If you are ordering dresses they can often take months to get in, and then allowing time for alterations, as needed. Keep in mind that certain sizes and shapes of stationary require additional postage. Consider whether this fits in your budget before getting your heart set on a pro. If you want to have a movie-eque keepsake, definitely add this into your budget. But, with all of the tech capabilities of everyone and your neighbor these days, you can likely find a friend who can capture the memories of the day for you for minimal cost (or maybe a nice gift card, or big hug?). Make sure you are eating well, and begin resting well now. It is a good idea to get (or give yourself) a manicure and pedicure about once a month before the wedding. This will condition your nails to look good by the big day for those close up ring shots. I was born and raised in Edmond, OK and love the town so much I stayed here to raise my family. I am blessed with a romantic, caring, talented husband & two awesome boys. I started my career life as a wedding coordinator, and I still love event planning! Now I am founder/director of Heartbeat for Hope, a non-profit supporting education and rural development in Ghana, Africa. I love my fabulous family, friends, movies, binge-watching crime dramas, and home projects whenever I can.